The A.M.T Max Warm is a highly optimized look-ahead Brickwall Limiter, Equalizer and Level Maximizer. What makes the A.M.T Max Warm process unique is the approach used for its dynamic signal analysis. Internally, the A.M.T Max Warm uses a special processing algorithm to accurately maximize the incoming signal level while limiting the ceiling peak levels. 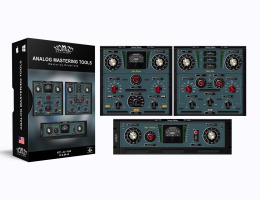 This approach tends to produce a more natural warm-sound, the A.M.T Max Warm also includes a two-band equalizer (Shelving/Peaking) with adjustable frequencies, making this plug-in an amazing advanced and versatile tool. Peak Limiting and Loudness Maximizing with Baxandall Equalizer (Shelving/Peaking). The A.M.T Multi Max multiband peak limiter is a highly optimized 3 band look-ahead Brickwall Limiter, and Level Maximizer. The A.M.T Multi Max uses a special processing algorithm to accurately split and maximize the incoming signal level while limiting the ceiling peak levels. This approach tends to produce a loud and clear natural warm-sound. The A.M.T Multi Max 3 band crossover with adjustable frequencies delivers sweet highs and punchy lows, making this plug-in an amazing advanced and powerful tool. When you need maximum sound with minimum latency and complete control, the choice is clear, use the A.M.T Multi Max plug-in.